Email campaigns are a great medium to keep patients up to date with the latest news and announcements from your practice. They are also beneficial for reminding patients of upcoming appointments or yearly checkup reminders. 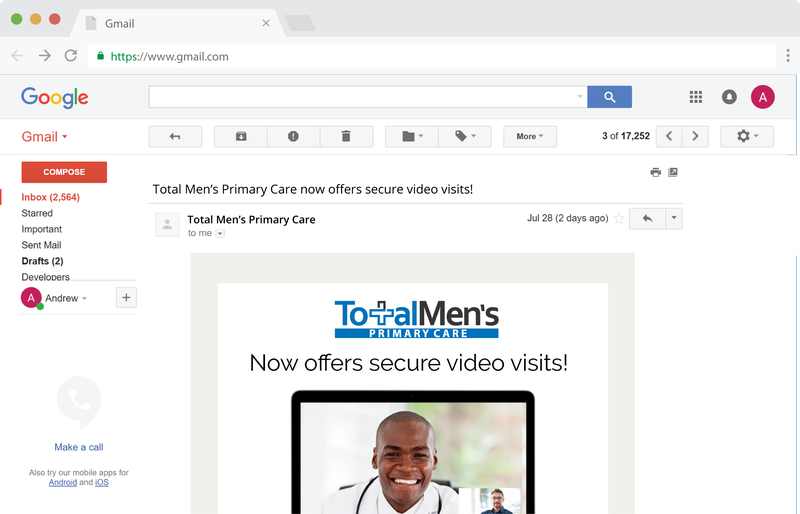 Ongoing email campaigns are a fantastic way to keep video visits top of mind for patients - increasing appointment volume (and revenue) for the practice.